At Conscious Capital Wealth management (CCWM), we support you across your Life Choices, through best of breed investment strategies, technologies and interacting with our team of Whole Advisors. 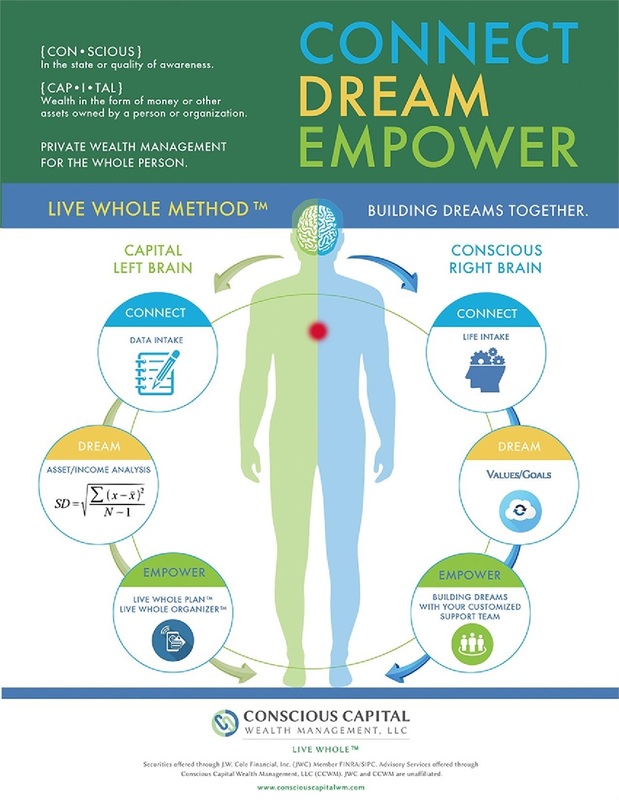 Through our 3-Step Process of CONNECT - DREAM - EMPOWER. We encourage you to dream again and in so doing support all aspects of your life and well being. We invite you to contact us for more information.